SEOUL -- South Korea's Hyundai auto group made a $300 million strategic investment in India's top ride-hailing platform, Ola, in the latest of its investments in promising foreign startups to develop innovative mobility services that would combine future technologies such as autonomous navigation and artificial intelligence. 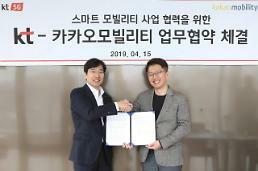 Though the investment, Hyundai Motor and its affiliate, Kia Motors, will collaborate with Ola to develop unique fleet and mobility solutions, build India-specific electric vehicles and infrastructure, and nurture class opportunities and offerings for partners with customized vehicles on Ola's platform. "India is the centerpiece of Hyundai Motor Group’s strategy to gain leadership in the global mobility market and our partnership with Ola will certainly accelerate our efforts to transform into a Smart Mobility Solutions Provider," Chung Eui-sun, the auto group's executive vice chairman, said in a statement on Tuesday. 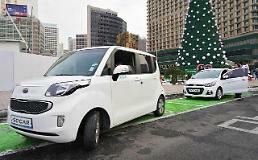 There have been a series of deals between Hyundai and foreign companies. In January last year, Hyundai acquired a stake worth $275 million in Grab, a ride-hailing and logistics service in Singapore, followed by investment in Australia's car sharing platform "Car Next Door". Last year, Hyundai invested in Revv, a self-drive car-sharing company in India, and Migo, an American company which has developed an on-demand ride discovery application. Ola, which hosts over 1.3 million partners on its platform, aims to create more than two million livelihood opportunities in the mobility ecosystem by 2022. 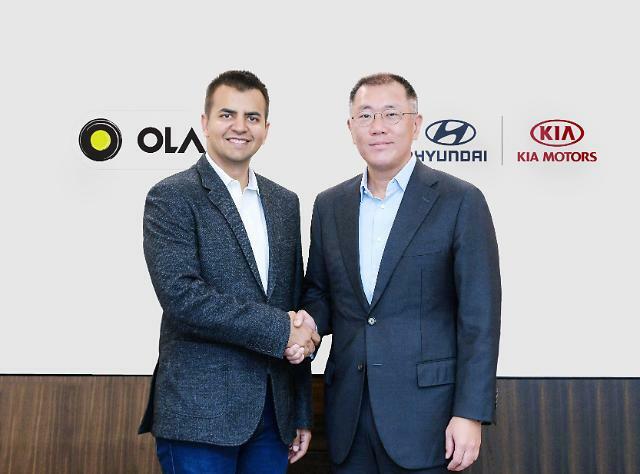 "This partnership will also significantly benefit driver-partners on our platform, as we collaborate with Hyundai to build vehicles and solutions that enable sustainable earnings for millions of them, in the time to come," Ola CEO Bhavish Aggarwal was quoted as saying.